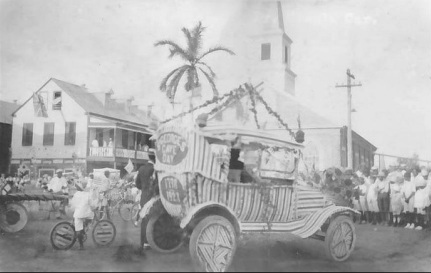 A Remembrance Ceremony is held at the Historic Cemetery each year and afterwards a celebration is held at the Sand Bar. At the cemetery a wreath is displayed and the list or person interred or passed are read and a bell tolled for them. On long weekends when residents decorate their homes and prizes have been awarded for the best decorated home. 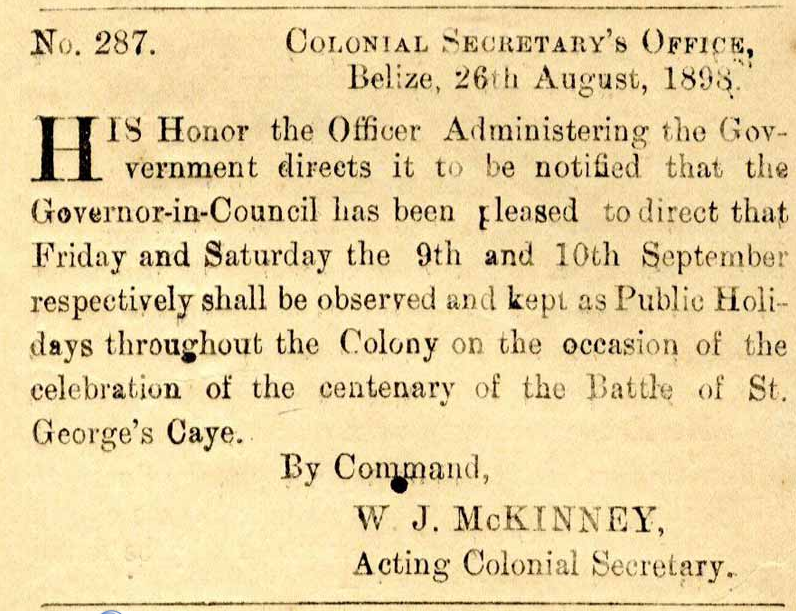 In 1898, 100 years after the Battle, the Colonial Secretary declared September 9th and 10th public holidays in remembrance of this historic event. Today only one day is given as a public holiday. 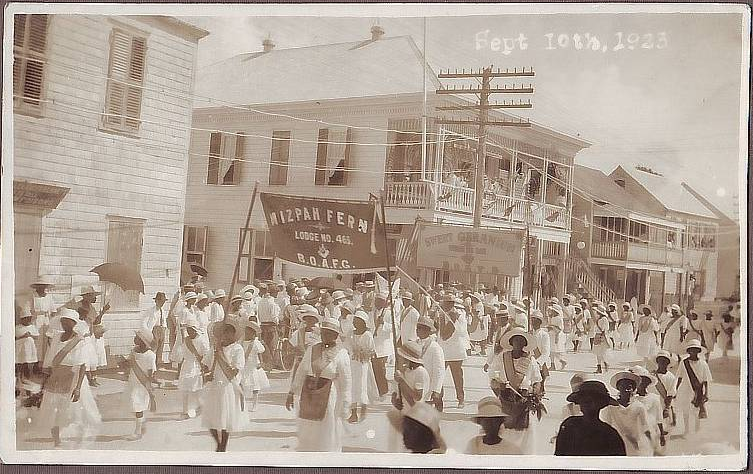 The photo below is from the Battle of St George's Caye Day parade in Belize City in 1923. Fr. Bernard Abeling wrote the song: "It was the Tenth Day of September, the 98th Anno Domini". There have been many musical versions of the song, a march, but the words have remained the same. Fr. Abeling was the brother or Dr. Karl Heusner's wife Kate Abeling. Fr. Abeling was a Jesuit priest in Belize in the early 1900s. 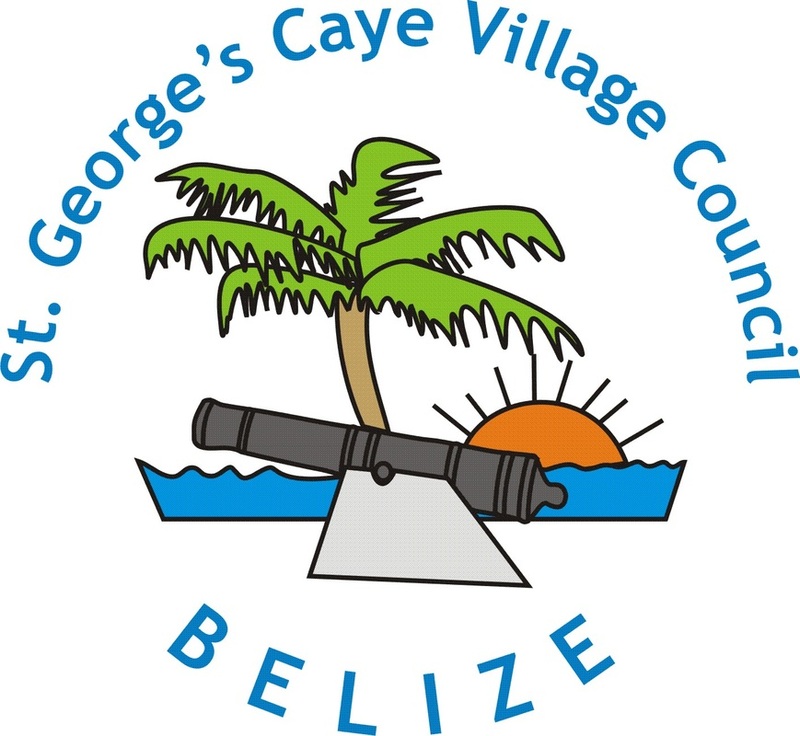 In 1954 in celebration of the 156th anniversary of the Battle of St. George's Caye, the town board offered prizes for the best patriotic poem concerning the battle. John M Searle was 17 years old and a student at the Technical High School, and submitted this poem which came in first place!